Please sign the petition to keep our Georgia Archive open. 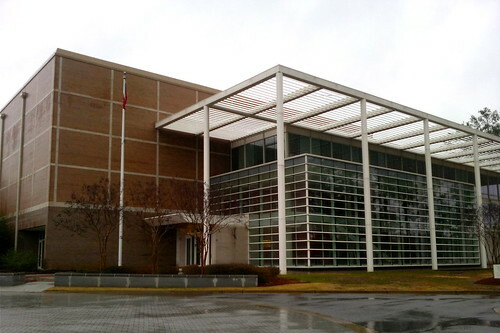 Driving home from work today I heard this on the radio: after November 1st, the Georgia Archive will be closed to the public. Those wanting access to the records will need an appointment. Currently, they are only open Friday and Saturday from 8:30-5:00pm. There is no information regarding this change on the Archive's website. I was waffling on whether or not to make the hour long drive tomorrow to do some research; I guess I better go while I can. I'm sad to say that, while extremely disappointed, I'm not really that surprised. Thank you so much for taking the time to contact our office about the eminent public closure of the Georgia Archives. First, let me assure you that this was a measure of last resort. Jared S. Thomas, Press Secretary"
Article on Atlanta Business Chronicle. It's good to see that Mr. Kemp will fight to have the budget restored and suggests ideas to fight this closure. Let me know how I can help you in this fight to reopen the Georgia Archives to the public.